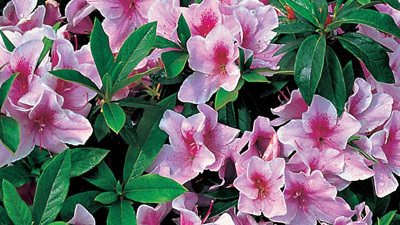 Are your azaleas a sight for sore eyes this spring? If not, you may need to improve your soil. 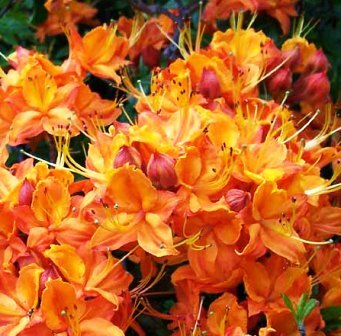 Azaleas need a rich, loamy, acid soil to thrive and flower well. The only way you can achieve this is with lots of compost and mulch – and patience. Step 1 – break up the surface of your existing soil and fork it over a bit, to open it up. Step 2 – add heaps and heaps of compost. If you don’t make this yourself, buy it in. Or you can buy in a load of good soil – but that can be expensive. Step 4 – mulch, using acid materials such as pine needles, shredded pine bark or leaf mould. Mulch is NOT the same as compost – compost is the rich, soil-like product of mixing organic greenwaste and manure and heating it to a high temperature to break down these ingredients. Added to your soil they enrich it and add essential nutrients. Mulching with coarse, uncomposted materials improves the structure and texture of your soil and as it composts slowly, over time (much slower than pre-made compost) it also adds some nutrients. Using compost and mulch together is the best and fastest way to improve soil, creating a growing environment for plant roots that is nutritious and able to retain moisture. And that’s all there is to it. Do this now, and keep on mulching regularly during the year and by next year you should have a soil that will grow perfect azaleas. If you do, send me a photo! Oh, and if you want to learn more about these lovely plants click on My Books on this website.